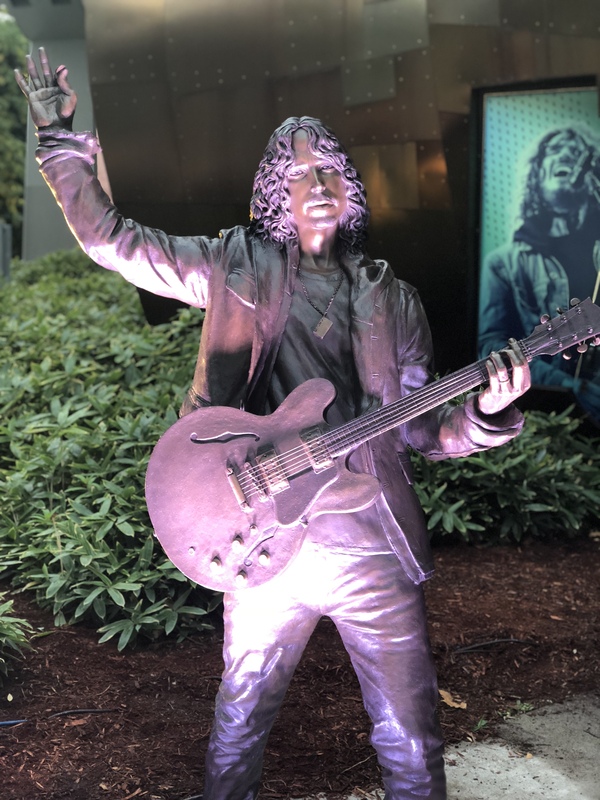 The late rocker was honored with a bronze statue outside the museum, commissioned by his wife, Vicky Cornell, and designed by Nick Marra. 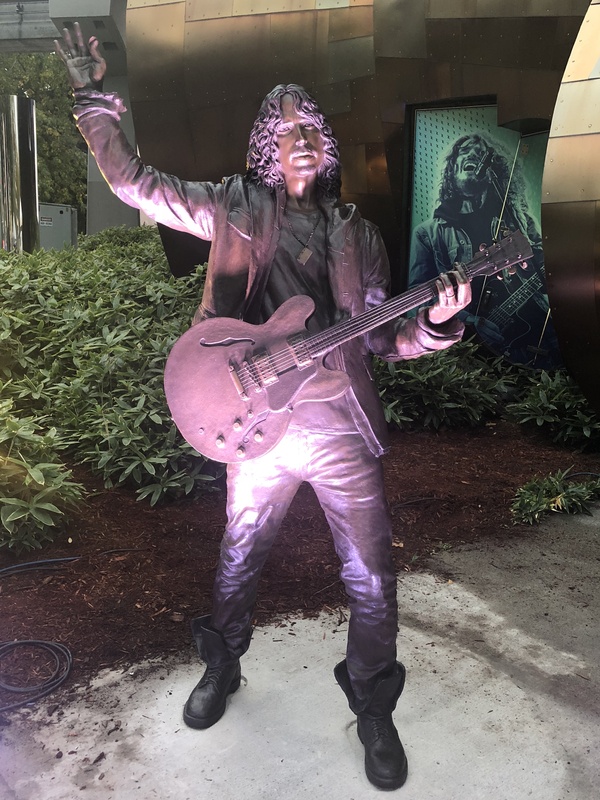 The sculpture features Cornell with a guitar in one hand and a pick in the other, donning his signature boots, a dog tag, and loose curls. 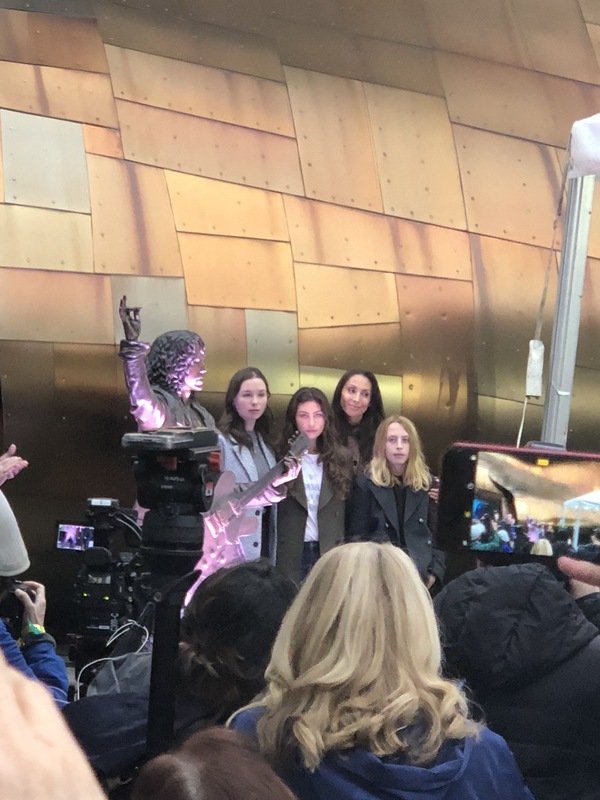 Cornell’s three children, Lillian, Toni, and Christopher Jr. pulled the shiny purple covering from the statue together and then stood beside it for press photos, later joined by Vicky and Soundgarden’s Ben Shepherd, Kim Thayil, and Matt Cameron. 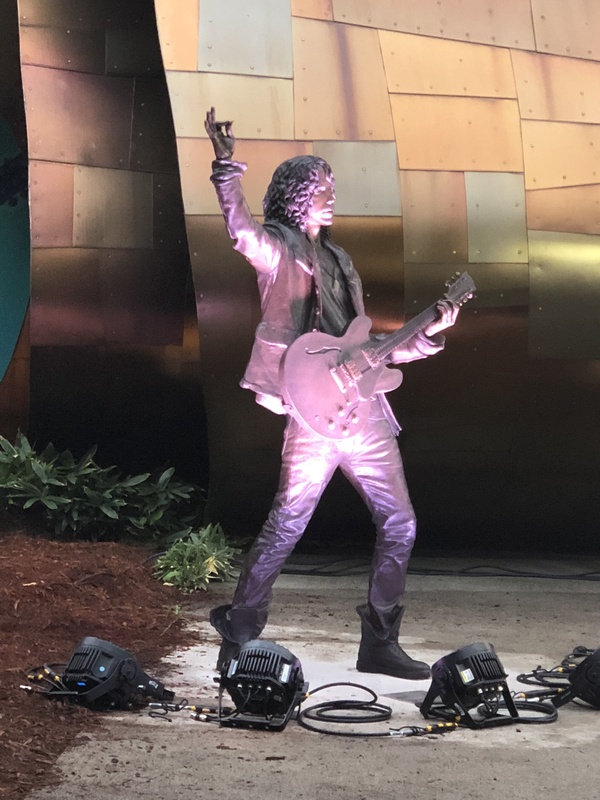 Pearl Jam’s Jeff Ament also attended the ceremony, but did not take photos with the group. 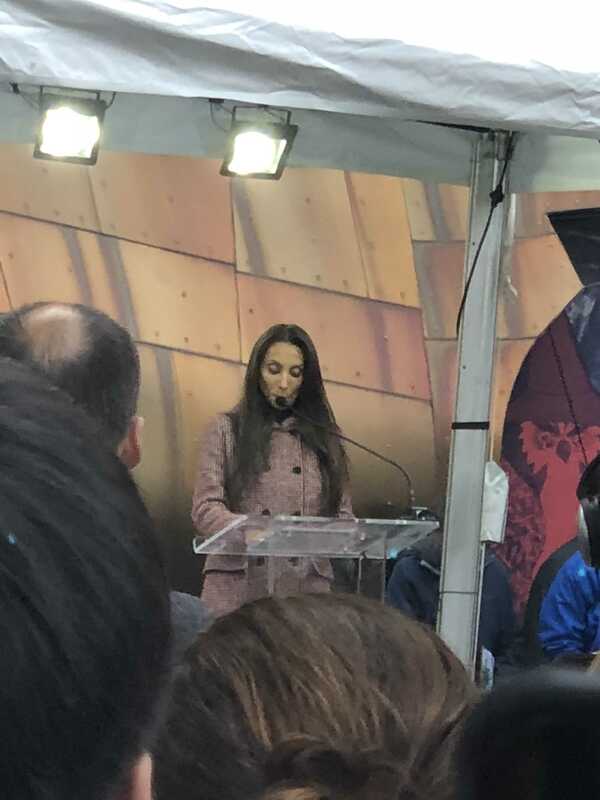 Below are some pictures taken at the ceremony. 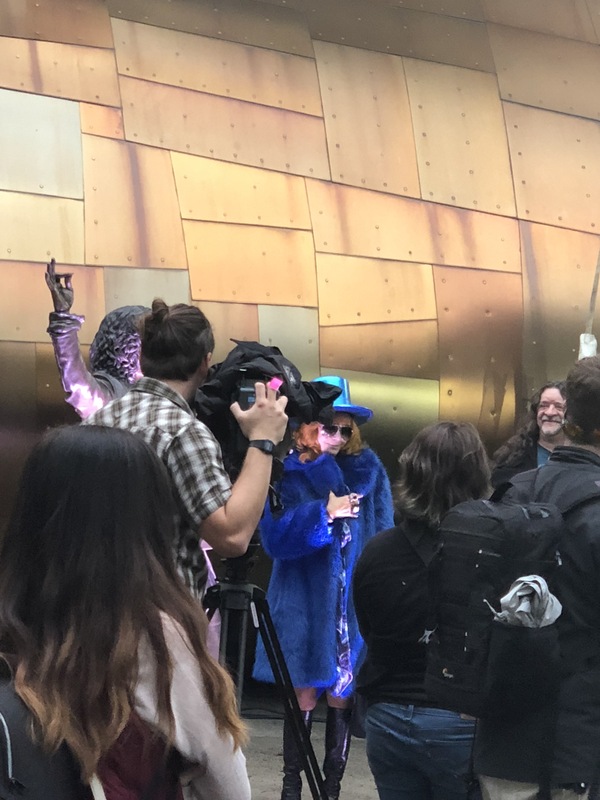 All pictures taken by Tori Twine.